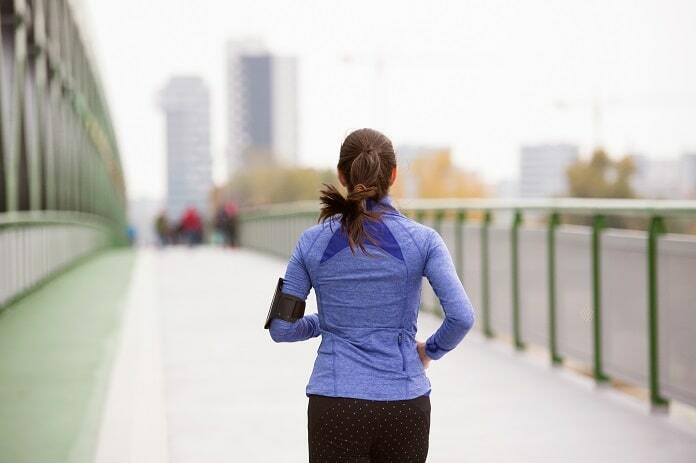 Published in the Journal of the American Heart Association, researchers studied how air pollution may affect the health benefits of exercise on the heart. Many heart conditions are the leading causes of death globally. Heart attacks are especially common. Having even one heart attack increases the risk for further attacks. Strategies to treat patients and prevent future heart attacks often include exercise. There are many health benefits of exercise, including making the heart muscles stronger and removing of harmful molecules. These benefits have been supported by research. However, the place where individuals are exercising also matters. Exercise demands oxygen. The body meets this need by increasing breathing rate. Due to this, air pollutants can be inhaled in greater amounts while exercising outdoors. Science has shown that pollution is a known hazard to heart health and that it can affect exercise. Since air quality can differ based on activity location, this topic needed to be further studied. Researchers in Denmark researched the health effects of air pollution and the benefits of exercise on heart attacks. Their findings were published in the Journal of the American Heart Association. They asked two questions: does physical activity reduce the risk of heart attacks in patients with and without a history of them? And does outdoor air pollution affect the health benefits of exercise in reducing the risk of heart attacks? For the study, they defined exercise as at least a half hour per week spent on a specific activity. The researchers included activities such as sports, cycling, and gardening, and looked at how this impacted patients with and without a history of heart attacks. They obtained data from the Danish Diet, Cancer, and Health study, which recruited over 100,000 participants between 1993 and 1997. They selected 57,000 participants from this cohort. They analyzed their lifestyle, diet, smoking, alcohol intake, education, occupation, disease history, and other health-related factors. The researchers followed up with the participants in 2015 and grouped them based on their experience of heart attacks. The majority of subjects did not have any history of heart attacks and only 6% of this group developed one since 1993. Of those participants who had a history of heart attacks, 26% experienced them again. Almost all the participants engaged in physical activity. From most to least common, the activities were: walking, gardening, cycling, and sports. The researchers found that sports, cycling, and gardening significantly reduced new heart attacks from developing. In residential areas with very high air pollution levels, only cycling could strongly reduce the risk. While air pollution did increase the risk of heart attacks in general, no link was found between poor air quality and the benefit of exercise on the heart. The study was limited by the 17-year follow-up time. In this time, the participants’ information was not updated. This included residences, physical activity habits, and other risk factors. Also, air pollution changes as the study subjects exercised from one area to another, for example, while jogging, were not accounted for. Other harmful air particles were also unaccounted for. Substances like ozone and carbon monoxide have also been noted as risk factors for several heart conditions. All in all, this study found that the benefits of exercise, specifically on heart attacks, are not offset by air pollution. The findings suggest that physical activity can be used to prevent new and recurrent heart attacks, even in outdoor areas with traffic-related air pollution. Reference: Kubesch et al. Effects of Leisure-Time and Transport-Related Physical Activities on the Risk of Incident and Recurrent Myocardial infarction and Interaction With Traffic-Related Air Pollution: A Cohort Study. Journal of the American Heart Association. 2018;7(15). doi: 10.1161/JAHA.118.009554.